CHRISTMAS CLASH – This is the season for ‘Christmas Clash’, a special fighting event where players can fight their way up and be rewarded with Frostbot, a brand new holiday themed robot. Look out for those frostbites! REVENGE MOVES – Unleash unique Revenge moves to cripple your opponents. These moves are as deadly as they are flashy! 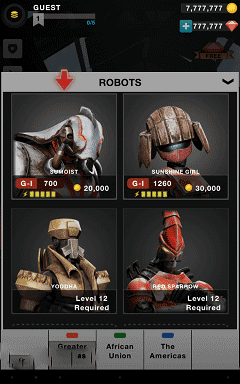 FREE ROBOTS – A lot of free robots coming your way. Follow our specials and promotions by connecting with us on Facebook and Twitter. 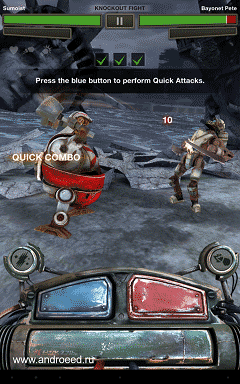 Ironkill is a Robot-versus-Robot fighting game that puts the player in control of a mechanical warrior fighting to become the unchallenged champion of the Ironkill leagues. In this world of warriors, only a talented contender can move from continent to continent, with a roster of robots; always building, modifying and improving to defeat all competition. Featuring Facebook social connectivity, the gamers will be able to race against their friends on the Ironkill World Map. 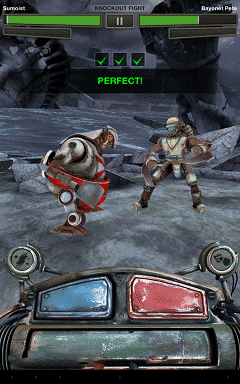 Download last version Ironkill: Robot Fighting Game apk for android from revdl with direct link.